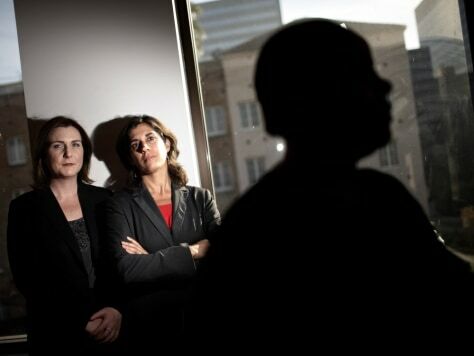 A Cameroonian woman who did not want to be identified for fear of reprisals against her and her family, poses for a photograph with her attorneys, Laura Wytsma, left and Judy London in Los Angeles, in this Dec. 2, 2010 photo. It took five years for the mother who was raped and beaten to win asylum. For a time, her three children in Africa didn't know she was alive - she feared she would jeopardize their safety if she contacted them.